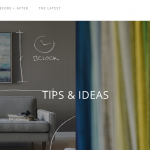 My series, Define Your Style, explores identifying your personal tastes. 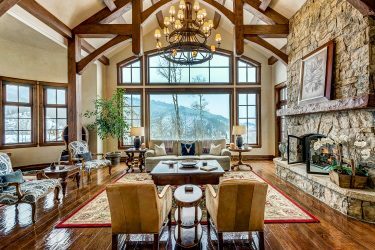 The overlapping and Interior Design Styles — Defined probes Transitional, Traditional, Old World, and Asian design. Getting off the beaten path, let’s have a look at less conventional styles. 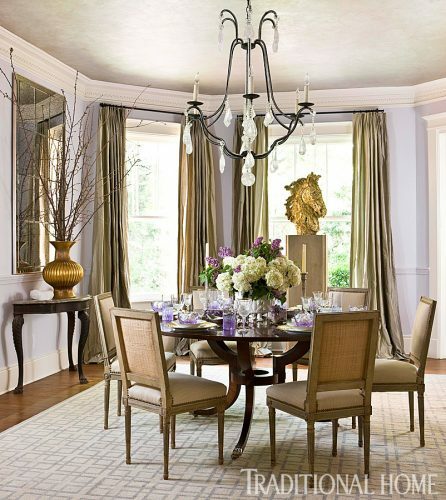 I think of romantic design as a loosely defined style combining elements of varying tastes. For a visual reference, picture idyllic French country, refined shabby chic, and a blend of soft traditional and transitional elements. Sound confusing? That’s probably because romantic design is not a specific style but rather a naming convention. It is more importantly a feeling resulting from a skillful blend of design elements. I’ll add that color plays a starring role in romantic design. Myriad shades of the trending pinks area effective for creating this feeling. Walls in clean, light tints with crisp white trim and re-interpreted traditional details add depth and a rich, layered effect. Soft indirect lighting also can add to the mood. 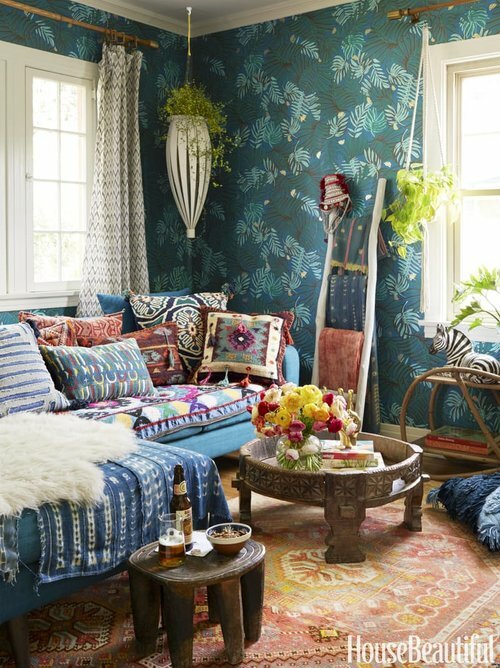 Justina Blakeney for House Beautiful — Bohemian style is also all about color! Bohemian design references it’s eastern European roots of Bohemia, part of the Czech Republic. 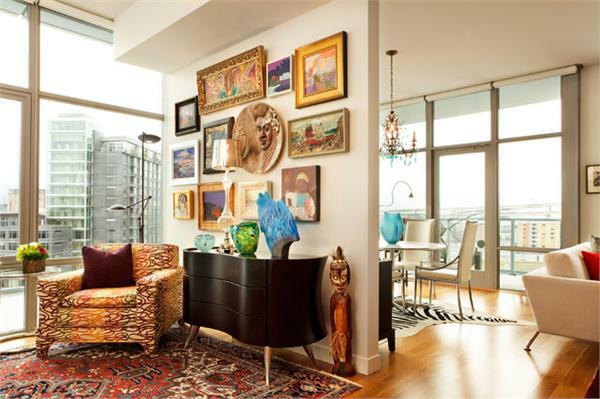 Bohemian style in interior design is similarly characterized to its people with a bold, colorful playfulness. Until Justina Blakeney put it on the map with her book The New Bohemians, I’m not sure Bomenian was identified as an interior design style. Kudos Justina — it is now! Her design take reflects an casual and unconventional, free-spirited, artsy, anything goes attitude to design and lifestyle. It’s not for everyone, but is a fun style for the young, and the young at heart! Are you a collector? If yes, your home is likely filled with objects, art, antiques, and furniture that may feel a bit disconnected. Have you come to live with your objects perchance through acquired collections of favorite finds. Or do you have a unique eye for sourcing the unusual? Perhaps you have a few treasured family heirlooms. Because of a possible unrelated array, how do you bring this into a cohesive design? That’s what eclectic style is all about. The results vary greatly such that there are no rules or true guidelines to follow. I think of eclectic design as a curated compilation of elements. Antiques, and especially “brown” furniture, have have lost their appeal over the last few years making this style somewhat more challenging than in days past.